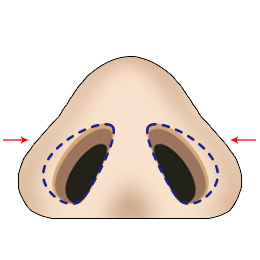 Most of nose with wide alar rim often involves wide and flabby nostril, and shape give blunt impression despite of sharp and high nasal bridge. Alar rim reduction can correct the width of the alar base. 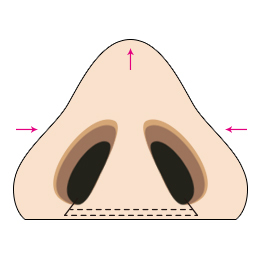 Moreover, wide and flabby nostril can also be altered into ideal and oval shape in conjunction with alar rim reduction. 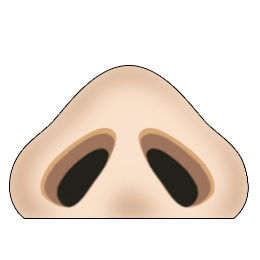 Make the incision based on the design and remove unnecessary skin tissue. Suture the rest of the tissue inside the nostrils and narrow down the width of the nostrils.